"I, Hasan the son of Muhammad the weigh-master, I, Jean-Leon de Medici, circumcised at the hand of a barber and baptized at the hand of a pope, I am now called the African, but I am not from Africa, nor from Europe, nor from Arabia. I am also called the Granadan, the Fassi, the Zayyati, but I come from no country, from no city, no tribe. I am the son of the road, my country is the caravan, my life the most unexpected of voyages." 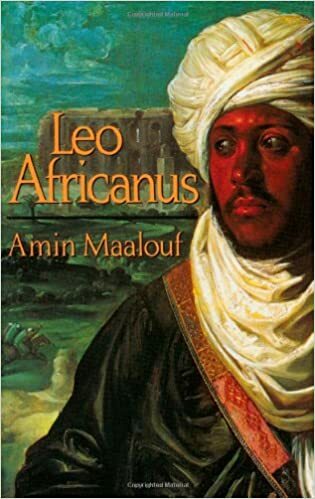 Thus wrote Leo Africanus, in his fortieth year, in this imaginary autobiography of the famous geographer, adventurer, and scholar Hasan al-Wazzan, who was born in Granada in 1488. His family fled the Inquisition and took him to the city of Fez, in North Africa. Hasan became an itinerant merchant, and made many journeys to the East, journeys rich in adventure and observation. He was captured by a Sicilian pirate and taken back to Rome as a gift to Pope Leo X, who baptized him Johannes Leo. While in Rome, he wrote the first trilingual dictionary (Latin, Arabic and Hebrew), as well as his celebrated Description of Africa, for which he is still remembered as Leo Africanus.